The United Nations Statistics Division (UNSD), in collaboration with the Ministry of Internal Affairs and Communications of the Government of Japan, is organizing the 7th Global Forum on Gender Statistics under the Global Gender Statistics Programme and the guidance of the Inter-Agency and Expert Group on Gender Statistics (IAEG-GS). This event will bring together producers and users of gender statistics from national and international statistical offices, other government agencies, international organizations, academia, civil society and the donor community. The Forum will be an opportunity to discuss ways to improve data and evidence for gender policies, in the context of the 2030 Sustainable Development Agenda. In particular, the Forum will: (a) review methodological developments for better gender statistics in many areas, including the nexus between gender and environment; measuring asset ownership and entrepreneurship from a gender perspective; monitoring international migration; and producing data on gender identity; (b) take stock of national practices and strategies for measuring and monitoring gender concerns, in line with the global SDG indicator framework; (c) discuss how Statistical Offices can communicate more effectively to ensure policy makers, the media and the general public identify, understand, and make full use of available data; and (d) learn about the latest research/assessment of progress towards gender equality, and about the availability of disaggregated gender data, to ensure no one is left behind. The United Nations Statistics Division (UNSD) and the National Institute of Statistics and Geography of Mexico (INEGI) are organising the 5th Global Forum on Gender Statistics under the Global Gender Statistics Programme and the guidance of the Interagency and Expert Group on Gender Statistics (IAEG-GS). The Forum will be held in Aguascalientes, Mexico on 3-5 November 2014 and will serve as a platform to review methods and data (including innovative approaches/initiatives) to measure and monitor gender equality and women’s empowerment in the following thematic “pillars”: women and the economy; violence against women; time use; political participation; the environment; and women in armed conflicts. The Forum will also cover recent initiatives focused on how to fill in gender data gaps. 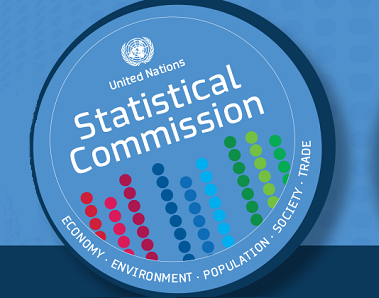 The United Nations Statistics Division (UNSD) is organizing the 8th Meeting of the Inter-Agency and Expert Group on Gender Statistics (IAEG-GS) in Aguascalientes, Mexico on 2 November 2014. The meeting will bring together representatives from national statistics offices, international agencies, Regional Commissions and other experts to discuss specific gender statistics initiatives and issues. The meeting will cover the International Classification of Activities for Time Use Statistics (ICATUS), proposed headline indicators on violence against women, the Evidence and Data for Gender Equality (EDGE) initiative, and an update on the work of the Advisory Group on Emerging Issues. The Forum is being organized by the UNSD and the Department of Statistics of Jordan, in collaboration with UNESCWA, UNFPA, UN-Women, and the World Bank. It is being held as part of the Global Gender Statistics Programme promoted by the IAEG-GS with the purpose of enhancing the capacity of countries to collect, disseminate and use quality gender statistics. The forum will provide an important opportunity to review and discuss new initiatives and data collection tools for the improvement of gender statistics and focus on Women’s Empowerment, including: economic empowerment, autonomy and physical empowerment, adolescent girls, and knowledge empowerment. The 6th Inter-agency and Expert Group (IAEG) meeting will bring together representatives of international agencies within and outside United Nations system, statisticians from National Statistical Systems, and development partners, to review progress and provide guidance on future activities geared at advancing gender statistics. The United Nations Statistics Division (UNSD) will conduct a Consultative Meeting to Review the Guidelines for Producing Statistics on Violence against Women, from 8 - 10 November, in ESCWA premises in Beirut, Lebanon. The draft Guidelinesprovides comprehensive methodological guidance regarding the selection of core and additional topics, sources of data, relevant statistical classifications, outputs, wording of the questions and all other pertinent issues related to conducting statistical surveys to measure violence against women. The meeting will review the text in detail and, upon incorporation of all the inputs, the final version will be submitted to the United Nations Statistical Commission for approval. The Global Forum on Gender Statistics is being organized by the United Nations Statistics Division (UNSD) in collaboration with the National Statistical Coordination Board of the Philippines. This Forum, from 11-13 October, will be the third in a series of international meetings on gender statistics with the purpose of promoting the advancement of gender statistics among decision makers and all other user groups. The focus of the 2010 Forum will be on the gender dimensions of health statistics, including measurement of maternal mortality, causes of death and disability, and related methodological advances. National practices in the incorporation of a gender perspective in national statistical systems and in the measurement of women and men’s health will be reviewed. The 4th meeting of the Inter-agency and expert group on gender statistics is being held following the Global Forum in Manila, Philippines on 14 October 2010. The objectives of the meeting are to further define priorities for the overall Global Gender Statistics programme, update the group on the work of the three advisory groups (gender statistics and indicators database, gender statistics training activities and curricula, and statistical legislation for gender statistics) and share agency and expert experiences in gender statistics. The Malawi National Seminar on Census Data Analysis is scheduled to be held from 19 to 22 July in Malawi. The main objective of the national seminar is to provide an opportunity for the staff member of the Malawi National Statistical Office in collaboration with the University of Malawi Population Studies Centre, to further collaborate on the analysis of data from the 2008 census of Malawi on selected topics. The national seminar will cover the following topics: (i) fertility and nuptiality from a gender perspective; (ii) fertility indices based on data from the 2008 census; (iii) measures of nuptiality based on data from the 2008 census: and (iv) and use of the CensusInfo software for data presentation and dissemination. After the seminar, participants are expected to produce thematic analytical reports, based on analyses generated during the seminar. The United Nations Statistics Division (UNSD) and the Instituto Nacional de Estadística y Geografía of Mexico (INEGI), in its role as the chair of the Friends of the Chair of the United Nations Statistical Commission, are organizing a meeting on statistical indicators to measure violence against women. The meeting will be hosted by INEGI in Aguascalientes, Mexico. The purpose of the meeting is to: (a) continue the work on developing the indicators in line with the recommendations in the first report submitted to the United Nations Statistical Commission in February 2009; (b) conduct an in-depth technical review of the methodologies currently applied to observe violence against women; and (c) provide methodological advice for the developing of a set of Guidelines for producing Statistics on Violence Against Women, regarding the selection of core and additional topics, sources of data, relevant statistical classifications, outputs, wording of questions and all other pertinent issues. The IAEG-GS will hold its annual meeting in conjunction with the Forum to review the work of the two advisory groups on gender statistics and propose future actions for the groups. The 2009 Global Forum is the second of a series of international meetings on gender statistics to be held annually with the purpose of promoting the advancement of gender statistics among decision makers and all other user groups. The 2009 Forum will serve to solidify the momentum gained with the launch in December 2007 of the Global Gender Statistics Programme and the Interagency Expert Group on Gender Statistics (IAEG-GS). In addition, the 2009 Forum will review best practices in the incorporation of a gender perspective in national statistical systems and in the measurement of women’s participation in and contributions to the economy. During the Forum, national-level experiences on integrating gender into population and housing census and household survey data collection processes and analysis will also be presented. The Forum will serve to highlight the need for statistics to respond to requirements for monitoring progress towards the attainment of gender equity goals and targets, including the Millennium Development Goals, PRSPs, Beijing Platform for Action and CEDAW. Furthermore, the IAEG-GS will hold its annual meeting in conjunction with the Forum to review the work of the two advisory groups on gender statistics and propose future actions for the groups. The Workshop is being organized by the United Nations Statistics Division, in collaboration with the International Labour Organization (ILO), the United Nations Economic Commission for Africa (UNECA) and the Southern African Development Community (SADC), as part of the project Strengthening statistical capacity-building in support of progress towards the Internationally Agreed Development Goals in the Southern African Development Community (SADC) region. The Workshop will train representatives from the National Statistical Offices and Ministries of Labour of the SADC region countries on the measurement of women's and men's participation in the labour force through household surveys, with a particular focus on statistics on employment in the informal sector and informal employment. The United Nations Statistics Division (UNSD), in collaboration with the Statistical Office of the European Communities (Eurostat), the World Bank and Statistics Norway, will convene an international conference on climate change and official statistics.